Be the belle of the beach in this gorgeous pink bikini. There’s a choice of normal briefs or high-waisted ones, too. 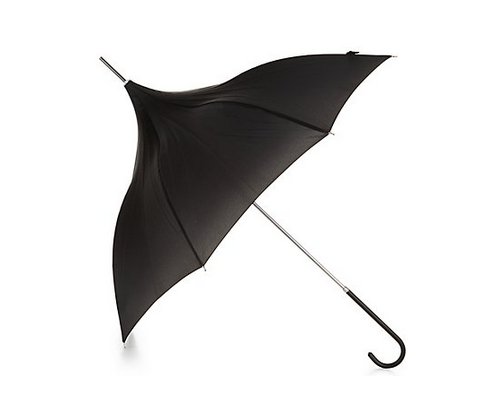 This unusual umbrella is so adorable. You’ll look like a little pixie under its pointed top. 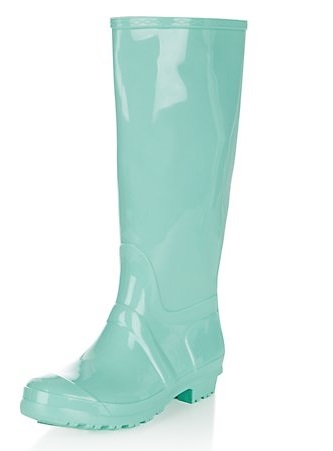 Available in ice cream shades of mint, yellow and baby pink, these wellies are all you need for the spring showers and summer festivals. CHEVRONS! 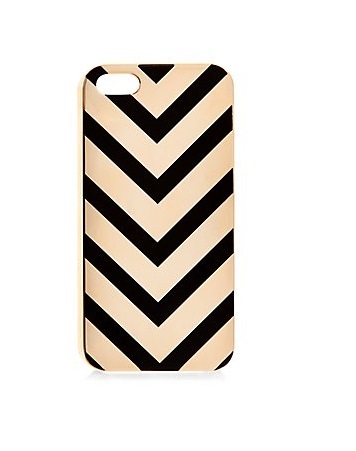 This classic black and gold hard case for the iPhone 5 is really eye-catching in its simplicity. If I wasn’t an Android girl, I’d be all over this. Kelly Brook’s long-running range for New Look is always crammed with beautiful, classy designs that look like they cost much more than they do, and this pretty balconette is no exception. We’re lumberjacks, and we’re okay! 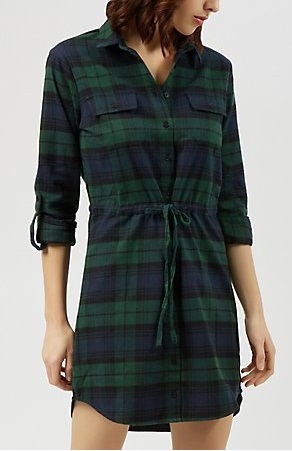 Team this cute shirt dress with tights and boots for a cool-girl spring look, Zooey Deschanel-style. 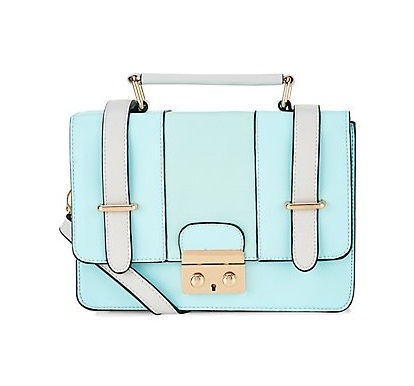 This oh-so-sweet pastel satchel is perfect for toting around all those little must-haves without looking weighed down. 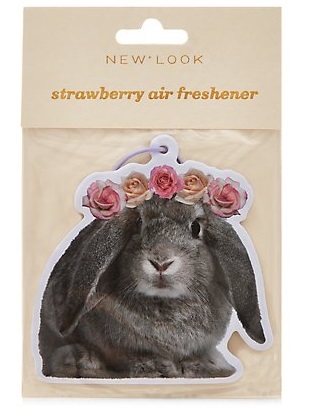 It comes in lilac, too. 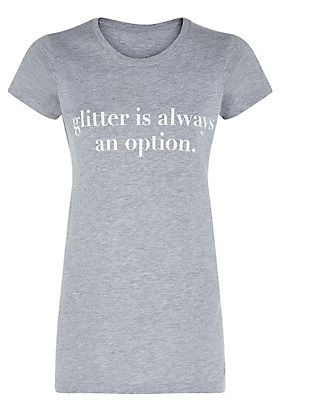 Oh hi, new life motto! 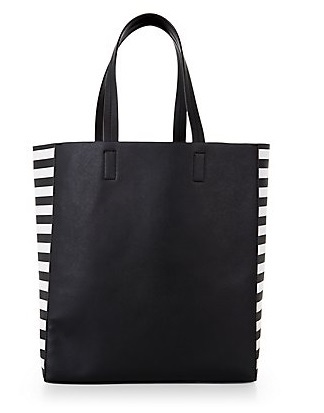 This stripy-sided bag is super-chic. Take it out shopping, and you can use it to carry all the rest of the stuff from this post.